Sign up in MyLead and learn how to make money online. You do not need to invest any cash, just create a free account. Join today and start earning! Everyone can make money via internet! See how simple it is. You create an account and you receive free access to an intuitive management center and an exclusive guides. You choose one of almost 500 affiliate programs which you will advertise. Our mentors will teach you how to earn money. You make a link or banner which you will promote among your friends, on social media or on your personal blog. It's very easy! For each person who will make a purchase from your link/banner, you will get commission - up to 275 USD. You can easily withdraw money to your bank account or PayPal. You will receive the money most often in only 48 hours. The minimum amount that you can withdraw is 50 PLN. Drag the moneybag and find out how to earn money ! You do not need to have any skills or invest cash to earn money online, with MyLead partner programs. All you need to do is create a free account! Publishers can also count on more "percentage" gifts. Mylead + commitment = pockets stuffed with cash. iPhone for earned money from MyLead? Here you are. Small roll, so many things you could buy. Every occasion is good for a nice gift. Chinese goods? Why not, it's your cash. Publishers spend money on various goods. A basket full of sweets. Specially for our users. How much time do you need to make such money? We answer: a week. We send advertising gadgets to our partners on a regular basis. Gifts for Users for Christmas. Two shirts are better than one. Sometimes saying thank you is just enough. How much money is there? We know - 10,000 PLN. Our users spend money on what they want. We create fashion like well-known designers. With so many packages to our publishers, even a courier had a problem. Iphone 6 bought for money from MyLead. A bungee jump? Driving a modern car? You choose. Some packages contain even more giveaway. 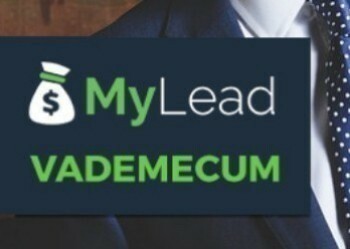 MyLead was one of three websites in which I started at the same time, but is one of the trinity that i have not resigned from and I have been earning money here since 2015. Since then, the rest of the internet is my only source of income. Diversity of programs, helpful support, quick withdrawals, advantages only - I recommend it to whoever wants to make money online! 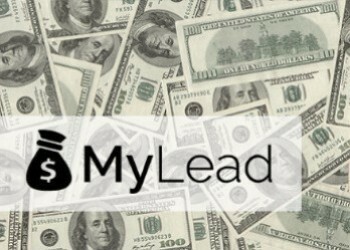 MyLead - a service where you can easily earn your first money online, just like I did. Helpful supporters are available almost all the time and are here for you to help you earn money. The service is 100% safe and solvent. To top it all of, payments are made on regular basis, today you request a withdrawal, tomorrow you have your earned money on your account. I’ve been earning money on this website since 2 years and to be honest with you, not long ago I paid out a really decent amount of money. I like the fact that the support here is very efficient and helpful. I highly recommend this website, because in my opinion it grows really fast! The fastest growing affiliate program, support approaches professionally to all the users and concentrates on them 100%. You can count on help in earning money online and fast payouts. I recommend! In my opinion, the best support due to the network, they always get back to you even on Sundays and there is never a problem to explain anything. I recommend! This is the amount that the users of the MyLead affiliate network have earned. If you want to join them, register and write to us. We will explain to you how to earn money online. The number of available affiliate programs guarantees that every publisher will find the right product for himself. Be sure to check our offer. MyLead affiliation network has been operating continuously for 4 years. During this time, we have trained thousands of publishers who base their earnings online. CPS offers remuneration for every purchase made by the user who entered the site through your advertising link or banner and then made the purchase. You receive a commission for the sale of products or services. The advertiser settles with the publisher against a predetermined amount or as a percentage of the shopping basket. It is a payment for installations. The publisher receives a lead if the end user downloads the application or other software provided by the advertiser. The customer does not bear any cost. CPL offers remuneration for client acquisition. This model is often used by all banks, loan brokers, but also telecommunications companies and other corporations that provide various types of services. You receive a predetermined amount for each customer who is interested in the offer and leaves his contact details or provides them for marketing purposes. Connections with higher costs. The publisher receives a commission for every minute of the call. The only task of the publisher is to promote the service. For the contact with the end-user responds a specially prepared call center. In CPA, you receive money for the implementation of a specific, determined by the advertiser and paid action on the landing page by the customer. Affiliate programs, billed in the CPA model, require the user, for example, to send an SMS with a higher cost or purchase with a credit card. In the SMS CHAT, the publisher receives LEAD for every text message sent by the end user during the chat conversation. The only task of the publisher is to promote the service. For the contact with the end-user responds a specially prepared call center. It is a payment using a mobile phone - a text message with an increased cost. MyLead supports both a one-time premium payment and subscriptions, which is a permission to receive cyclical, paid messages. We do not close ourselves to the world. We help people from abroad and we let you to earn as much as possible. We also have partner programs for particular countries. Are you wondering if making money online is for everyone? Everyone can make money via Internet in the MyLead affiliate network. You don’t need to have any skills or experience. All you need to do is create a free account. You don’t have to set up a business to earn money on our website. After creating an account, you will receive access to exclusive guides and a closed forum. Knowledge about making money is at your fingertips. Our team consists of experienced mentors who will bring you into the world of online earnings. If you need any help, contact us. We share our knowledge for free! 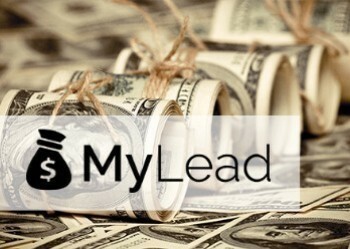 Sign up today and start earning money with MyLead. Registration and use of the website is fully free! You do not need to invest any money. Our team will help you start earning! Why is MyLead worth choosing? What are you waiting for? Tomorrow your account balance may be bigger - just sign up with MyLead today. We are an affiliate network that provides several hundred partner programs. We offer affiliate programs from well-known and respected advertisers. In addition, as the only service of this type in Poland, we provide 9 different payment models. No one can match us. We have our own applications for mobile devices. We are constantly introducing new affiliate programs. What distinguishes us is the global reach for our programs. In addition, we train our partners completely for free! We provide ready-made guides and case studies that teach you how to practically make money on our website. We offer a clear, intuitive client panel - your Management Centre. You can access current statistics of your earnings in it, you can check in real time how effective your activities are and how much you have earned on the internet so far. You can also have a look at which affiliate programs are the most popular among our partners. We train new and advanced users so that they can earn money more efficiently. We share our knowledge and experience completely for free. Our support is available almost all the time, so you can count on our help at any time. To top it all of, we are open to any cooperation proposals. If you feel like you’re missing something in MyLead - don’t hesitate to contact us. We are a Polish company and we’ve been operating on the market for 4 years. Our activity has been appreciated by many blogs and industry websites. We occupy leading positions in the rankings of affiliate networks and partner programs. We already have trained hundreds of publishers and paid them a few million PLN! We are people who love their job and do it with passion. 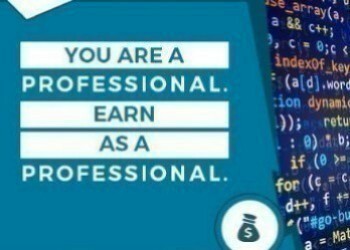 For 4 years we have been making every effort to provide you with the best ways to earn money online and unique solutions that will help you achieve the highest efficiency through our work.